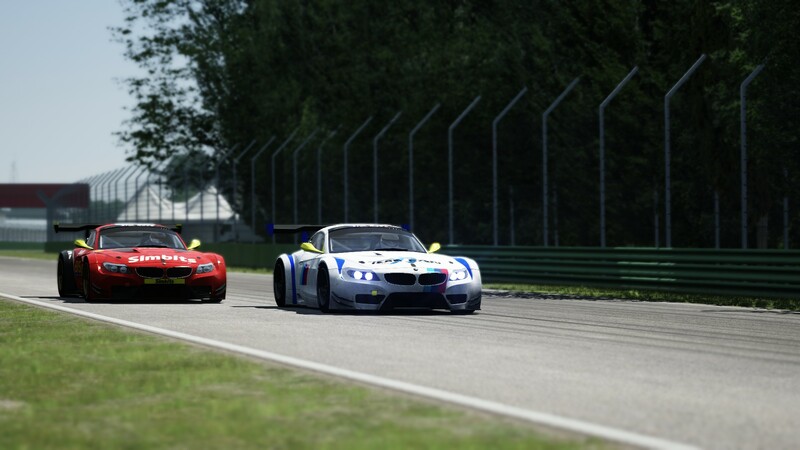 Boyd Bryson (Xtreme Racing) secured his first win of the 2014 SA simGT Series by taking victory of Race 1 at Imola. Pole starter Basheer Jadwat (Squadro GhostworX) maintained his lead into Traguardo (turn 1) for the first time. Bryson, who started on the front row, was slow to get away to allow Markus Steyn (Rebel GhostworX) passed into 2nd position. Jadwat, with cold tyres, was a little too hasty into the fast Piratella left hander to run wide to see Steyn slip past into the lead. 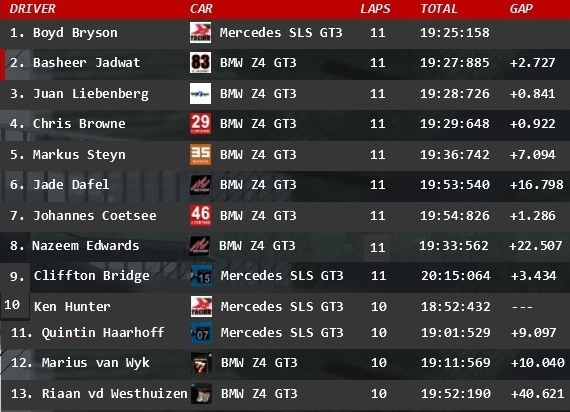 Steyn’s lead was short lived as, while defending from Jadwat, he out-braked his BMW into the tricky Rivazza 1, Bryson followed suit and Browne suddenly found himself in 2nd behind Jadwat. Bryson re-joined in 3rd and Steyn in 6th. 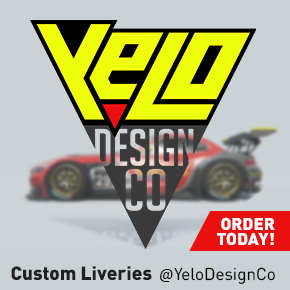 Bryson quickly displayed unexpected race pace from the Mercedes-Benz SLS GT3 to stick with Browne. A nervous twitch from Browne’s BMW compromised his entry onto the main straight which allowed Bryson to use the extra straight-line performance of the Mercedes-Benz to move up to 2nd. With Lap 2 completed Jadwat had built up a 4 sec lead back to Bryson and was looking on course to add another victory to his collection. However an error by Jadwat saw him briefly run-off track at Traguardo allowing Bryson to close-up to within one car length. Jadwat and Bryson would exchange almost identical lap times until, on lap 7, Bryson ceased an opportunity when Jadwat ran slightly wide at Rivazza 1, the two cars ran side by side through Rivazza 2, involving slight but acceptable contact, to see Bryson eventually emerge in the lead. 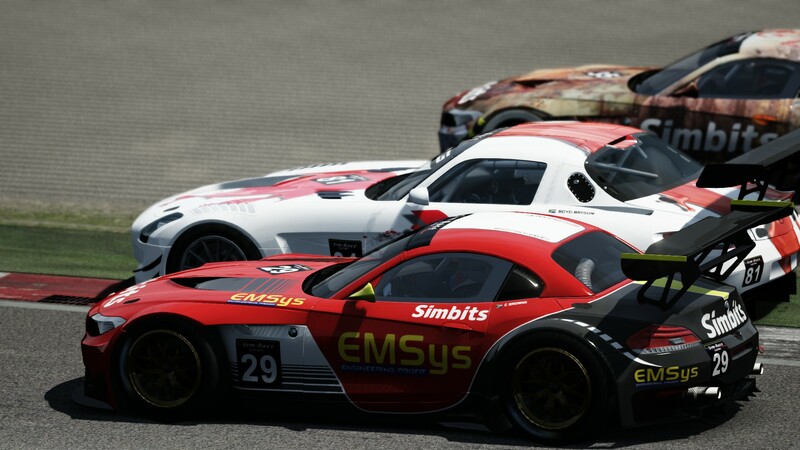 With no further challenge from Jadwat, Bryson went on to win his very first SA simGT race. The race also marks the first win for a Mercedes-Benz SLS in the Series. 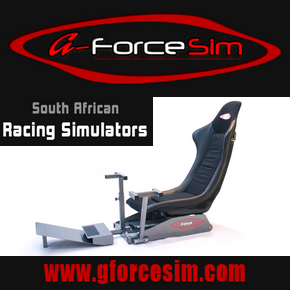 Juan Liebenberg (Team Ryoku) enjoyed a strong race to secure the last remaining podium position. “Bad start, this thing is quite tricky to get off the line. Practicing starts might have helped. After some mistakes by all of the front runners, it settled down to Jadwat leading Browne and me just hanging on. 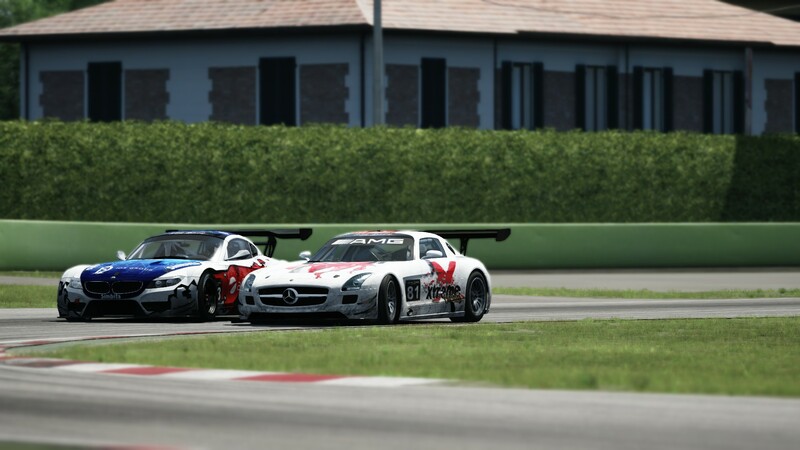 Managed to take advantage of the Merc’s impressive oomph outta corners, and took back second. Then to chase the flying Jadwat. It was many many laps eating slowly into Basheer’s lead, and then 2 laps in a row Bash made mistakes, so I had to take advantage while he was still rattled. I managed to slip it up the inside going into the hard downhill int0 the first of the Rivazzo’s, kept the inside for the second. On the exit we touched and Basheer ran wide into the dirt. (Sorry Basheer …). From there it was just making sure I brought it home in one piece. Woohooo! Thanks Xtreme.” says Bryson. “Got off to a good start but was soon in p2 until the last corner when Markus ran wide. I was then in front but had pathetic pace and Boyd was honing in on me at a staggering pace. I tried to hold him off but he pulled off an epic move on the last corners. Hung on to P2 juuust ahead of Juan. Well done Boyd, your pace was stellar. Had no answer to that silver bullet of yours.” says Jadwat. Liebenberg passes Browne for 3rd.